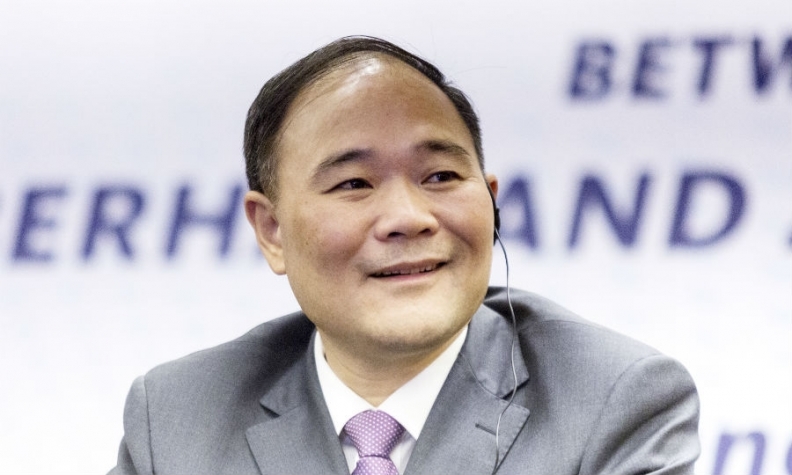 Geely respects Daimler's "values and culture,” Li said. FRANKFURT -- China's Zhejiang Geely Holding does not plan to buy more Daimler shares "for the time being," it said after its top executive disclosed he had a 9.69 percent stake in the German automaker. "Daimler is an outstanding company with a first-class management. It will be an honor to support this unique team under the leadership of Dieter Zetsche in the future,” Li Shufu, chairman and owner of Zhejiang Geely Holding Group and Geely Group, said in a statement on Saturday. For the time being neither Geely Group nor any other company in the Zhejiang Geely Holding Group intends to acquire additional shares, Geely said. “I will fully abide by the company charter and governance structure of Daimler and respect its values and culture,” Li said in the statement. The investment furthers Geely's foray into the European premium automotive market and ends months of speculation about a tie-up. The Chinese company already owns Volvo Cars, whose refreshed lineup of vehicles have made it a popular alternative to the German luxury stalwarts. "A Geely stake in Daimler would underscore their push for cooperation that will help them get more expertise, like electric cars," said Frank Biller, a Stuttgart-based analyst with Landesbank Baden-Wuerttemberg. "At the same time, this opens another path into China for Daimler." Li has tapped overseas banks to help finance the investment, according to people familiar with the matter. Geely said Li has a "long-term commitment" to the Daimler stake. Daimler welcomes another major investor and sees the investment as a vote of confidence, it said in a statement. "Li Shufu is a Chinese entrepreneur Daimler knows well and regards highly in terms of his competency and focus on future developments," spokesman Joerg Howe said. "Daimler already has a strong footing in China. We have a very strong partner with our existing cooperation with BAIC Motor." In December, Li became the biggest shareholder in Sweden's Volvo AB, the world's second-largest truckmaker. In 2010, he acquired Volvo Cars from Ford Motor, and last year won control of British sports car maker Lotus Cars. Geely plans to start selling its new Lynk & CO brand in Europe.